Nestled between Estonia and Lithuania, Latvia has a small but developing tourist industry and the country is authentic and welcoming. The Baltic coast stretches 500 km (310 mi) along Latvia's northern border, and lush green forests cover nearly half of the country. Founded in 1918, Latvia was occupied by both the Nazis and the Soviet Union, who incorporated the country and did not restore independence until 1991. Due to centuries of foreign rule, the country boasts a mix of ethnic backgrounds, while maintaining the Latvian language. With cosmopolitan Riga as the capital, Latvia offers a mix of urban excitement and rural nature. Latvia is in Europe. 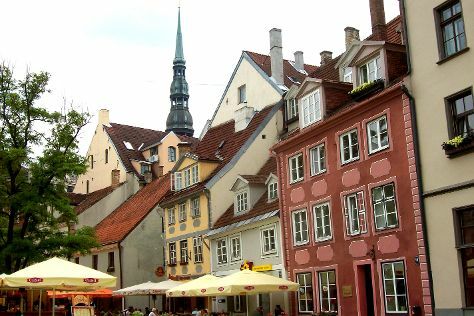 Our Latvia trip planner allows you to plan your trip to Latvia and a wealth of other destinations big and small.